San Andres open-pit gold mine in Honduras. Photo by Minerales de Occidente. A Honduran judge has temporarily blocked a Canadian-listed miner from exhuming dozens of human remains at a more than 200-year-old cemetery in the Central American country to make way for a gold mine, a lawyer for the local citizens said on Friday. Victor Fernandez, a lawyer for plaintiffs in the town, told Reuters on Friday that a judge had – for the time being – weighed in favor of the local villagers. The town is located about 122 km (76 miles) northwest of the Honduran capital of Tegucigalpa. "A judge ordered the mayor's office to temporarily suspend the exhumation of the cadavers … while he decides on an injunction we presented on behalf of the villagers," Fernandez said. "As we understand it, the exhumations have stopped." Fernandez said that relatives of those buried in the cemetery reached an agreement with the local mayor's office in 2015 to protect the remains of their family members, but he said local officials broke that covenant. 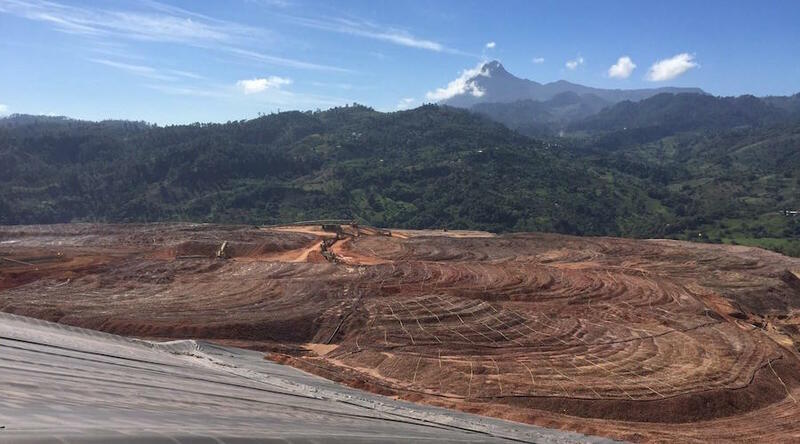 In 2017, Honduras received mining export income of $183 million, according to the central bank. Reporting by Gustavo Palencia; Editing by Christian Schmollinger.